I’m still alive.. and still very much pregnant. But I am at the home stretch! The little one isn’t even here yet but I’ve been thoroughly busy preparing the nursery, attending child birthing classes and well, trying to ignore the typical aches and pains of pregnancy. Not to mention, maintaining a full time career. I can’t say that I’m one of those mommy-to-be’s who actually enjoy being pregnant, I honestly just want to get this over with and hold my baby already. And it will come soon enough! I apologize for my lack of lakorn updates, and thank you for the emails and checking in with me. I know Lom Sorn Rak has been on air and a few highly anticipated lakorns are lurking nearby, please feel free to share your thoughts on them here. I have seen the first episode of LSR, just out of curiosity, but can’t wager too much since I should watch a few more episodes. However from what I gather and as you probably already know, LSR centers around twin brothers (both acted by Nadech Kukimiya). One is a rural doctor (Non) who blames his father for the death of his mother and still holds that grudge to present day. He opts to stay far away and focus on helping the village people. Meanwhile his older twin brother (Pran) works at their father’s company – Good Life Science – which orients themselves on providing equipment for doctors globally. It’s essentially allowing folks to receive health services in their home without the need to travel. Sounds great yeah? Sounds almost like Big Hero Six, ha. The ironic part about it all is that the father owns a company that intends on saving lives, yet he failed to save his own wife. At any rate, Pran gets anointed president from his father – not due to nepotism, but from skills – and this causes Uncle Sinthorn to swear rivalry. And how does our heroines fit in this big picture? Well Patricia plays Pran’s secretary and partner in crime while Taew Nataporn plays “Patarin” an employee at the same firm who signs off on purchase orders. Unfortunately for her, she becomes a suspect for swindling the company, when she in actuality she’s just a small pawn in Uncle Sinthorn and his fellow shareholder/mistress’s scheme to take over the company. The bigger question (outside of whether the plot intrigues you) is whether Nadech can pull off being a twin. This is not your typical long lost twin story, it’s more of twin brothers who clearly have love for each other, but due to a grudge between younger brother and dad, things are a little rough. Non is the happy go lucky doctor, while Pran plays a more serious business man. The difference in these two are their personalities and a switch of the eyeglasses. I don’t see a huge difference in his acting going from one twin to the other, but something will happen (where they may switch places?) and with that a true switch of character. Now that’s something to see. 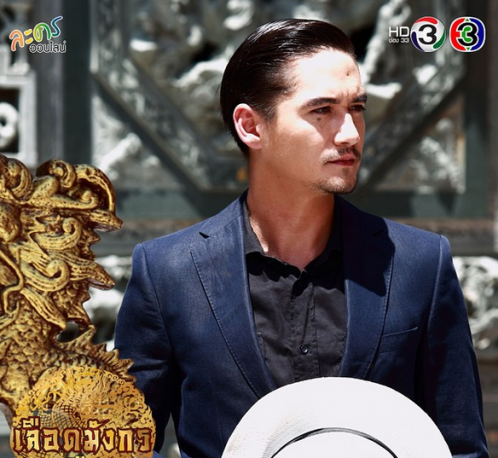 And drumroll… another primetime lakorn that recently aired is the Mafia Luerd Mungkorn Series, and first up: Tiger. I could not believe this lakorn finally aired. And worse part? I haven’t seen it yet! Please feel free to share your synopsis and first impressions here. Unfortunately I could not get into Ab Rak Online (which ended) nor could I find the time to watch Kaew Tah WarnJai. For whatever reason, lakorns have not been appealing to me these days. But I will definitely check out the first episode of Tiger, at least for Ananda. Oh and I can’t wait for this! I haven’t congratulated you on your pregnancy yet P’ Fia, congratulatiooons, may you and your baby blessed with health and happiness always. But actually enjoy the tiger since the bickering between the lead is sooo funny. The action and opening scene is a bit disappointing but I think the writing is pretty solid, judging from the leads dialogue. Ananda and Kim seems pretty comfortable with the role and each other too. Will need to watch more to give a fair judgement though, still little biased and excited right now. Will always wait for your update P’ Fia, I really enjoy reading your blog, even though rarely comment on it hehe. Hi shirocchi! Ah, how could I forget to mention nong James Ma? Of course I am still excited about seeing him in a lakorn again. Haven’t been keeping up with the updates, but I’ll try to catch the show once it airs/finishes airing 🙂 Ugh, I need to make time for Tiger! Thank you for commenting and stalking when you feel like it, hee. Welcome back! Don’t forget to update us more about your newborn..
P’ Fia ka, nice to hear you are alive and mostly well. I too couldn’t get into Ab Ruk as well. I don’t have much opinion about Mafia as it only aired one episode. I too miss Mario. I like Mint as tomboyish girl in Kaew Ta Wanjai than in cubic. But the storyline is really not appealing. Lastly, wish you have a safe childbirth. Take care,dear. Thanks for the well wishes, Amber! I hope you find a lakorn that will interest you soon. Ah P’Fia, I was JUST thinking of tweeting you to ask how things are going! I actually finished Ab Ruk Online and blogged a bit on it… not a super exciting lakorn but enough to get my lakorn-watching-engine started again. No idea what other lakorns are coming up though… I've been mostly out of the loop for the past year. Hi Nong’Jia! I’d love to read your thoughts on Ab Ruk. I guess we’ll be seeing Kimmy again in Tiger, I’m excited to see her chemistry with Ananda. Although if it isn’t there, we can always fangirl over Ananda. Ha. I hope all is well with you! I’m getting an itch to travel, but alas, my condition stops me every time. It’s going to be awhile before I get any air time. Perhaps Hawaii is the closest to take the little one. Thanks for your comment as always! Tiger is a good lakorn so far! Just the only thing that bothers me was the editing, but Ananda, Tik, Ken, and Andrew are really great! Andrew is an interesting character so far from the bit of scenes that he had in the first episode. 🙂 Some lakorns coming soon that I can’t wait to see is Ka Badin, it’s been too long since JMA was onscreen and I can care less how the lakorn turns out as long as I see James looking as cute as he usually is! Also can’t wait to see his upcoming lakorn with Kimberley. KTWJ is kind of boring there’s no chemistry between Boy and Mint. The MLM series is pretty much what I’m watching at the current moment. As for LSR, it isn’t that interesting for me. Hello, glad to hear from you again! I’ve been a longtime reader, but have never commented before ^^; Always checking here every 2-3 days, but I’m glad to know that you’re doing well! There haven’t been a lakorn yet this year to have peak my interest except for Bang Rajun. It just ended, but have you given it a look? The only other lakorn that I’m interested in is Ka Badin and I can’t wait to see James and Matt onscreen! P’Fia, it is good to hear from you, not matter how rare it may be these days, as long as you are doing well. Enjoy the last stretch of pregnancy and hopefully the little one will make his entrance easy for mommy, eh? *Fingers crossed. As for lakorns, I’ve been off the wagon for a bit as I can’t seem to find one that peaks my interest. Been pretty lack-luster as of late. However, I did start watching “Leh Ratree 2015” starring Sean and Esther, and I must say I am addicted. I’ve loved Esther since the Jutathep series, even though she was a N’Rai, her acting was superb (cause she made you hate her to the core with her evilness, lol). I loved the older version with Ann Alicia and Pepper but this new one just hooks you in somehow. I have also started watching LSR with dear Nadech and the adorable Taew. Still on the fence about that one but will see how it goes with the coming eps. Hope all continues to go well for you. Will visit again soon! As for lakorns, I’ve been off the wagon for a bit as I can’t seem to find one that peaks my interest. Been pretty lack-luster as of late. However, I did start watching “Leh Ratree 2015″ starring Sean and Esther, and I must say I am addicted. I’ve loved Esther since the Jutathep series, even though she was a N’Rai, her acting was superb (cause she made you hate her to the core with her evilness, lol). I loved the older version with Ann Alicia and Pepper but this new one just hooks you in somehow. I have also started watching LSR with dear Nadech and the adorable Taew. Still on the fence about that one but will see how it goes with the coming eps. Congratulations to you, Fia! Haven’t been by in a while and wishing you good health and your child too! I’m watching LSR and really enjoying it. 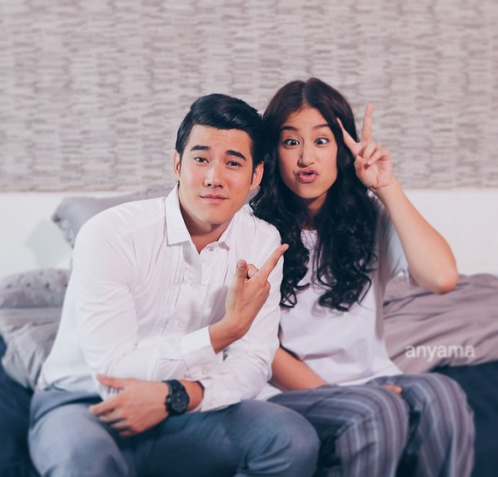 Nadech and Taew are performing well in their characters and Mor Non is so friggin funny. Did you have a chance to watch Bangrajun? It’s one of my 2015 obsessions, it’s really REALLY good! I have a random question. Do you happen to know the name of the yellow flower that we see some lakorn n’ek weave in their hair? (ex. Noon in “Kha Khong Khon”) I’m trying to google it but there’s been nothing concrete! Hi p’fia, glad to hear that you’re doing well. Can’t wait to see your bundle of joy. As for dramas, I’ve been rewatching kim’s dramas lately, the one with her and nadech and ponyachan kon krua. Also been watching ngao jai starring toontam and view. I want to ab rak online but I can’t find the eng subs. And the Tiger mafia series started already? YAY! But I’ll think I’ll wait until it’s completely subbed bc I can’t stand the waiting game. Hi p’fia, glad to hear that you’re doing well. Can’t wait to see your bundle of joy. As for my drama viewing, I’ve been rewatching kim’s lakorns, like the one w/ nadech and I’m almost done with ponyachon kon krua. I’d like to watch ab rak online but I can’t find the eng subs anywhere. But I’m also watching ngao jai starring toontam and view. I’ve only seen ep1 of the original LSR with pepper and ann and watch a bit of the new one with ester, so the jury is still out if I’ll watch the 2015 version. And the mafia Tiger series started airing? YAY! But I’ll think I’ll wait until it’s completely subbed so I can marathon it. Can’t stand the waiting game. Good to hear you’re well, Fia! 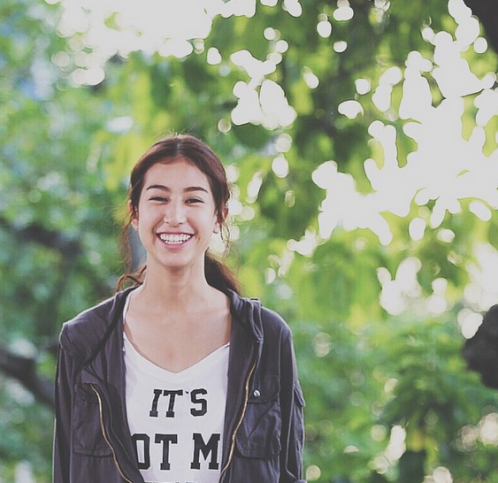 Silent reader for a while, but I want to know your thoughts on Yaya’s upcoming lakorn — Kleurn Cheewit. It seems like a new role for Yaya, and from the fitting’s photos, I’m excited to see her in it! I don’t know the plot but it looks like Yaya’s character will be a confident, somewhat sassy one? Good to hear you’re well, Fia! Silent reader here but this time, I want to comment as I’m really curious about your thoughts on Yaya’s upcoming lakorn, Kleurn Cheewit. I don’t know the plot, but judging from the fitting’s photos, it looks like Yaya’s character will be confident and sassy and perhaps even on revenge. I’m excited to see Yaya in a new role like that. It’s already April 24. Has you little bundle of joy arrived yet? Thinking of you and your baby and sending best wishes and love to you! Will you be doing posts on your journey to motherhood??? Just curious!